in Northwestern Ontario. 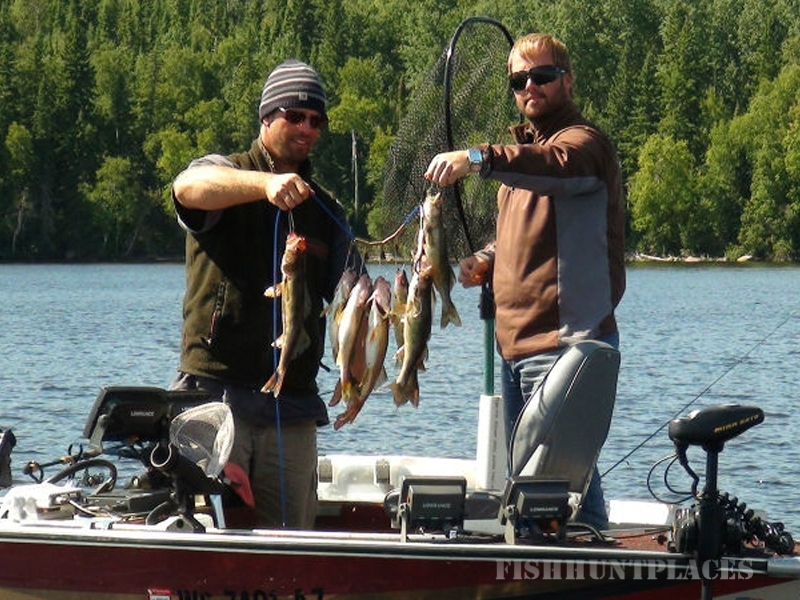 Experience affordable and abundant Canadian fishing at Five Lakes Lodge where you will be fishing five quality lakes – Gullrock, Red, Keg, Ranger, Two Island plus the Chukuni River. We are now offering Bear hunts. We have recently acquired a BMA (Bear Management Area) in our area and are adding some exciting new packages to the ones that we already offer! This BMA has not been hunted in quite a few years. It is approximately 100 square km. The area can be accessed by boat or road. The sites will be pre-baited and fully guided. We will only be accepting 3 to 4 hunters in this area as we want to offer a quality hunt. 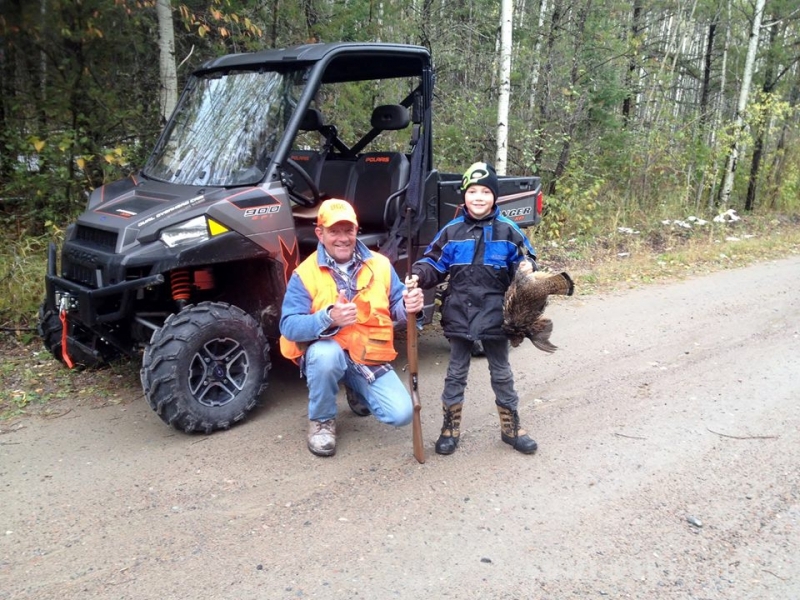 There are endless miles of cut overs, logging roads, and trails to provide excellent grouse hunting. These roads and trails are foot or ATV accessible. We do recommend bringing ATVs to further your explorations. These hunts can be guided. The Wolf population has been at an all-time high and is increasing year after year. 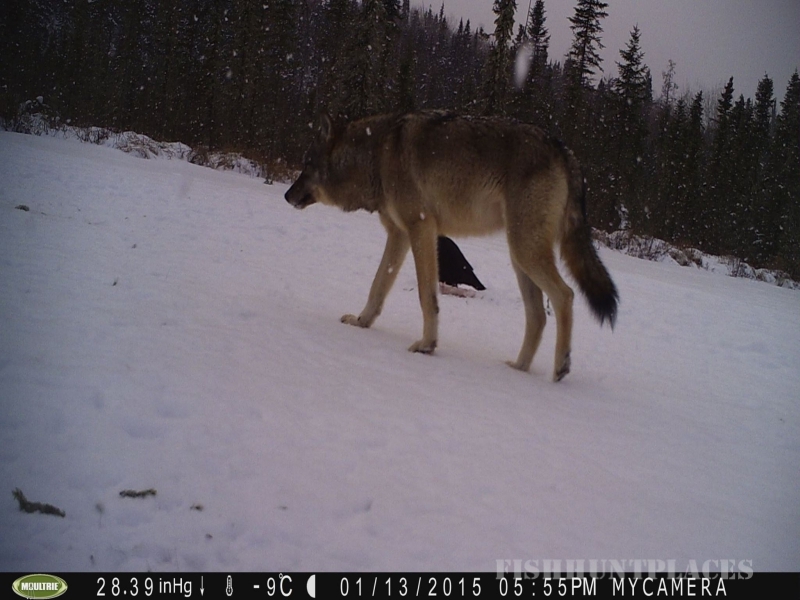 It is not uncommon to see a moose or deer carcass on the lake that has been hunted down by a pack of wolves. There are many different colour phases from your common grey wolf, to your black and whites. Our season here at Five Lakes Lodge starts in December and runs through March. 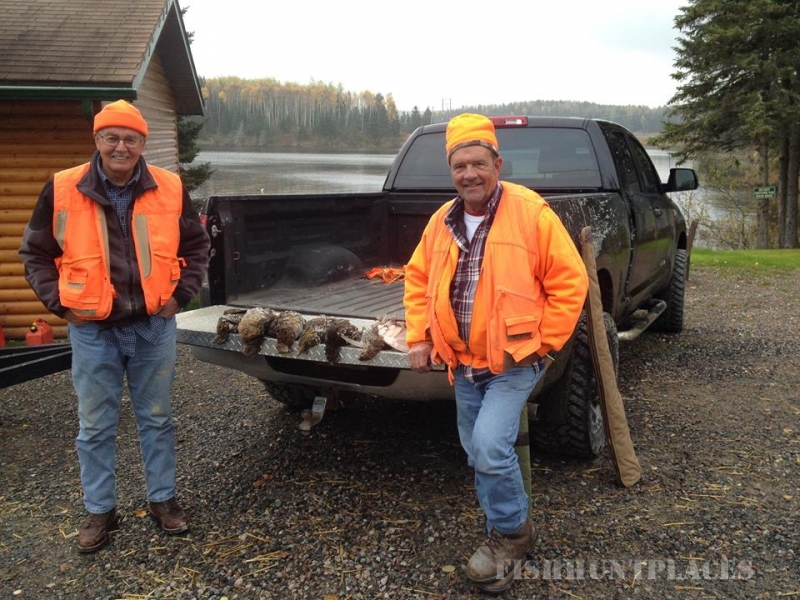 All hunts are guided and bated in remote locations that are accessible by snow machine. The hunting will be done out of a heated ground blind. The baits are set up for a rifle hunt only (100 – 200 yard shot is common). Included in the hunt is a fully modern cabin (as above). So while the outcome of the hunt is never a guarantee, the quality of the hunt experience is. 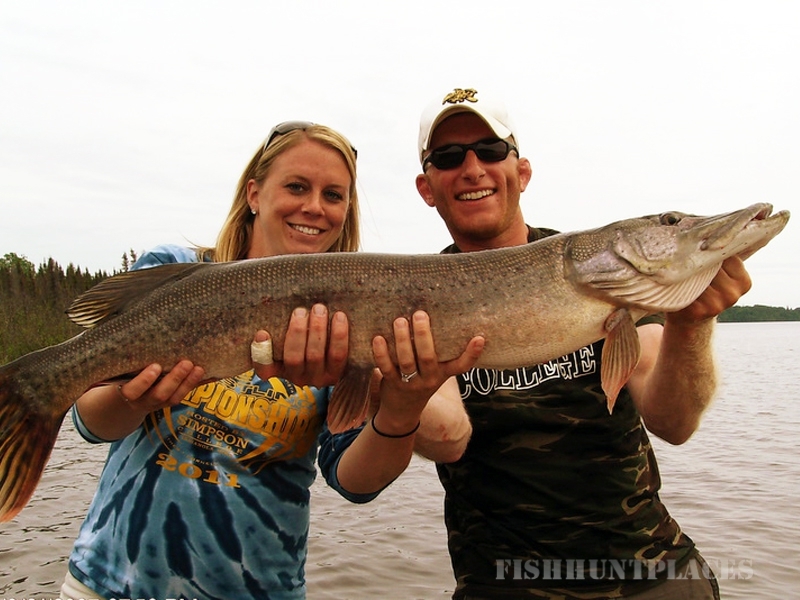 Our five home lakes provide excellent fishing for walleye, northern pike, sauger, perch, whitefish and lake trout. 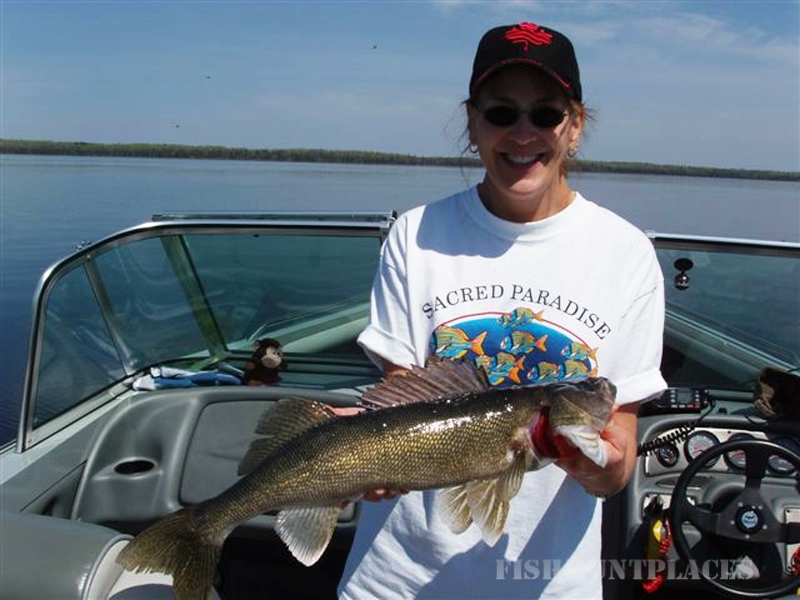 The walleye fishing on the Gullrock chain of lakes is of the highest quality. Because of this, we encourage the increasingly popular practice of “catch and release” of the prime size spawning fish to preserve the abundant fish stocks. 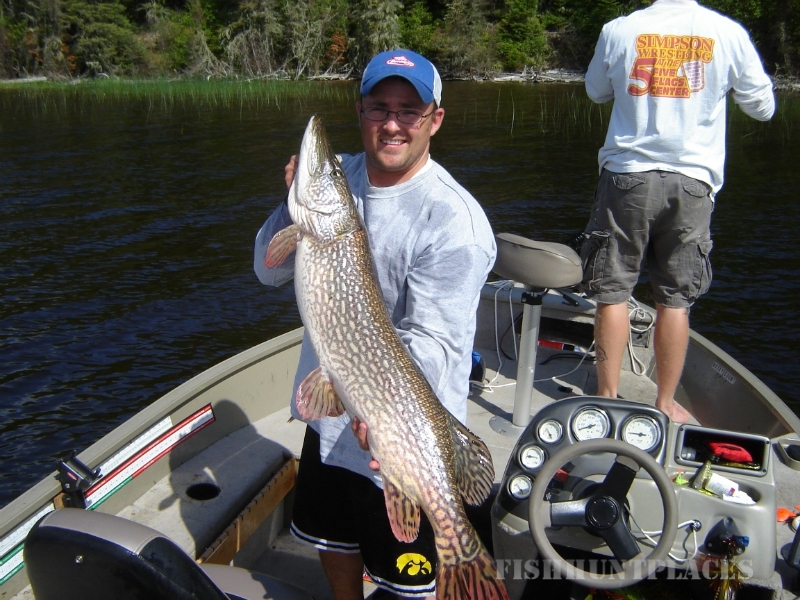 There is an accessible muskie lake about 15 miles from our camp. 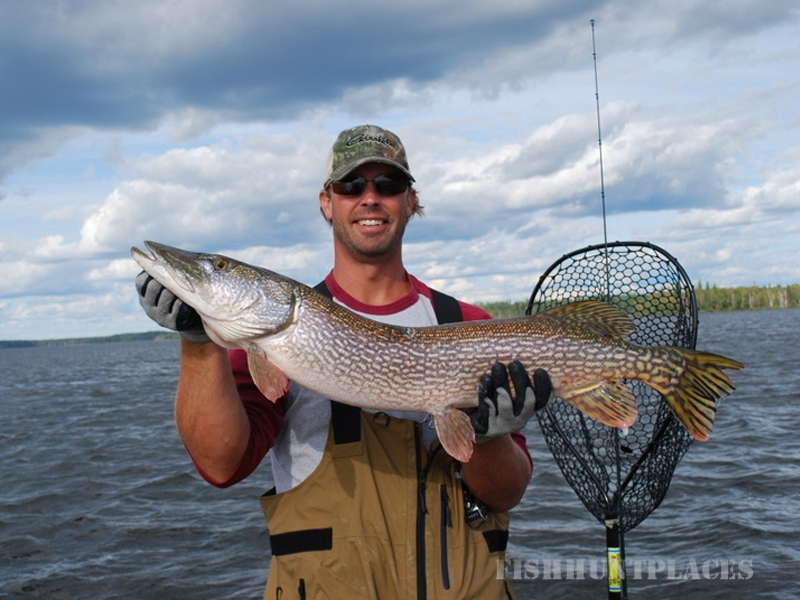 Several smaller northern and walleye portage lakes offer our guests unique wilderness day trips. Black bear, moose, ducks, loons and other wildlife are seen throughout the lake system adding to your fishing experience. 4 large dock areas provide docking for your private boat or one of our rentals. Well maintained and clean 16′ rental boats with swivel seats, with 20 & 25 HP electric start, Yamaha motors are equipped with paddles, minnow bucket, anchor and landing net. Gas and bait are available. Upgrade boats with 40 or 50 HP Yamaha motors in a 18′ Misty River (with live/bait well, depth finder, raised floor, bilge pump, and swivel seats) are also available. Our guests can play golf for free at the nearby 18 hole golf course, souvenir shop, dine in area restaurants, or visit the local gold mines. There are also two public beaches, tennis courts and a recreation center. Five Lakes Lodge is easily accessible via automobile and is located in the midst of untouched, relaxed wilderness, yet it is only a 15 minute drive to the small town of Red Lake. A true winter wilderness experience where you can fish multiple lakes by traveling on snowmobile or (just before the season closes) on ATV. 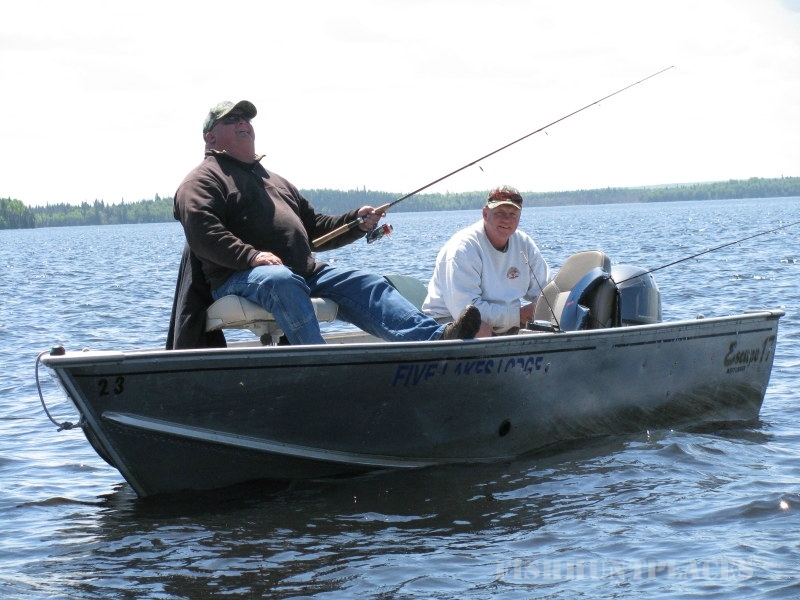 You can fish from lake to lake on trails, logging roads and over portages. Along the way or while out on the lakes you may see moose, deer, lynx, martin, fox, wolves, and other native wildlife. 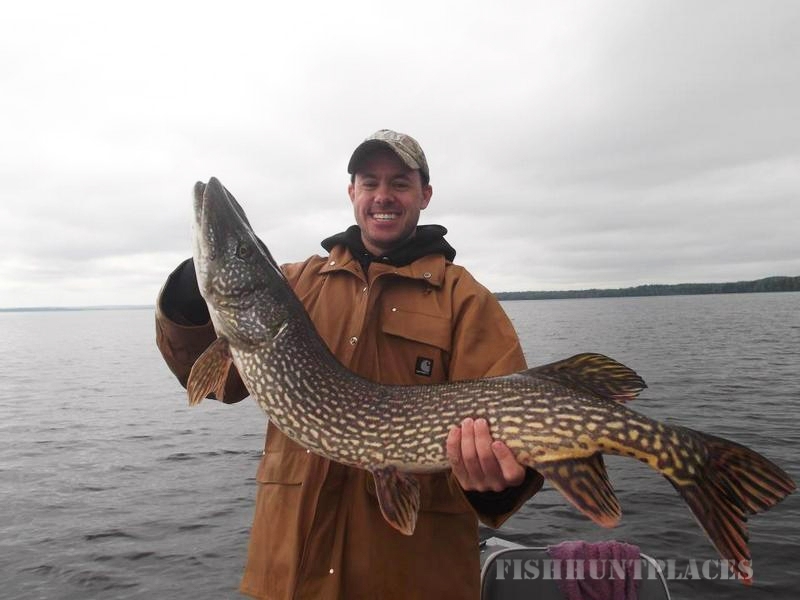 Fish for Walleye, Northern Pike, Lake Trout, White Fish and Perch on Gull Rock and many of the lakes that are not summer accessible. You will be provided with a fully modern cabin with light housekeeping (heat, water, satellite TV, and fully equipped kitchen). Augers and shore lunch kits can be provided and we do have access to snow machine/ATV rentals.